A lightweight chair inspired by old aircraft constructions. Maple wood construction with airplane-plywood seat and back. 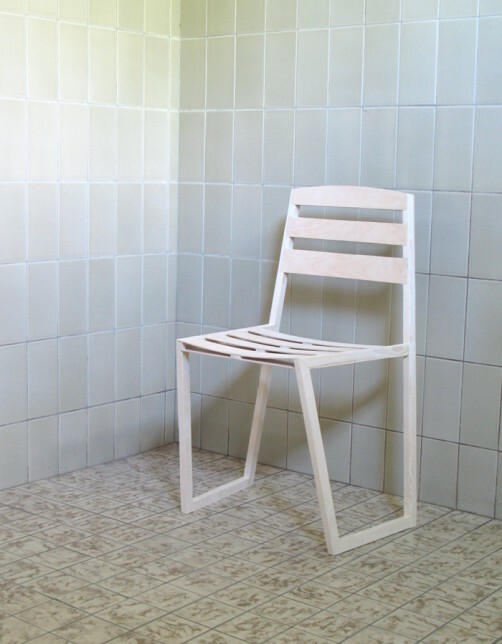 The chair is made with the thought in mind to create a lightweight chair in wood. 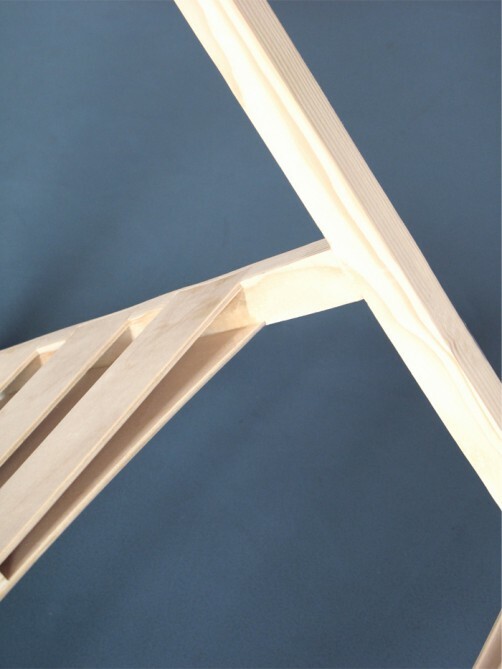 The 2 timber sideframes out of simple small beams work together with the plywood engineered seat and back. Together they make a light, clear, functional and good proportioned construction. A technical tour de force searching for the boundries of designing in wood. A form with character, made with an eye for detail like the traditional halved joints. 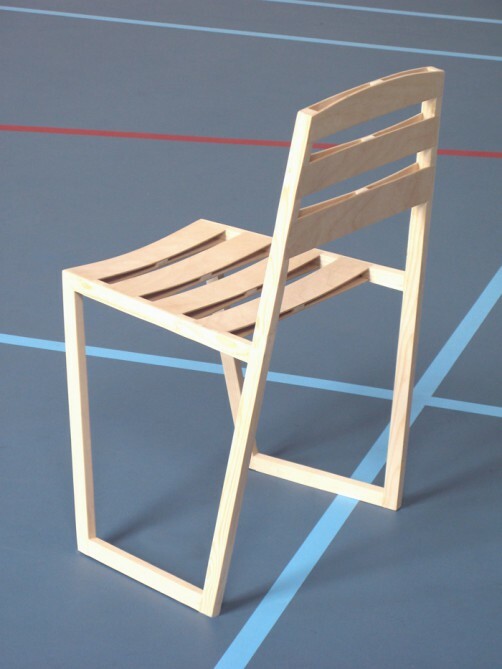 The plywood seat and back construction is cleverly engineered, it bends a little acting as suspension making the chair more comfortable. 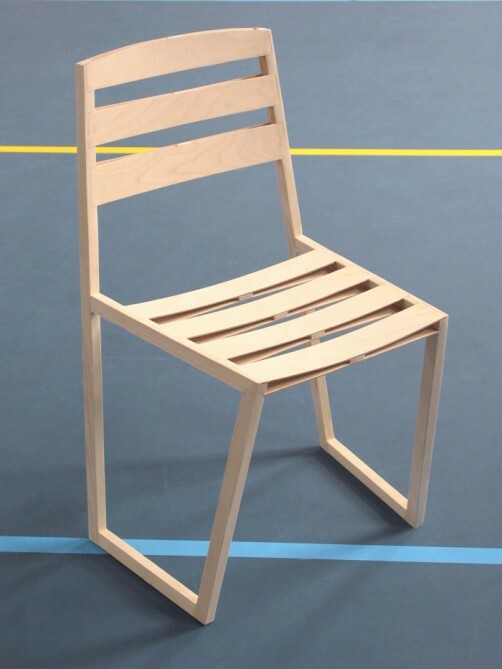 The first prototype weighs 1,4 kg and is made out of solid pine with 4 mm birch triplex. 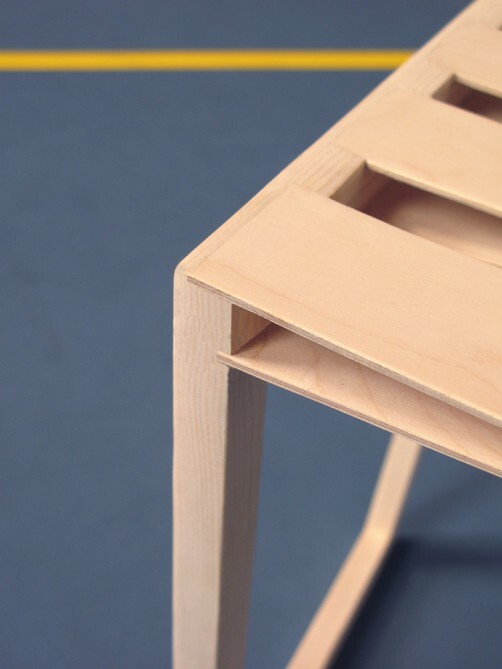 The production model is in solid maple or beech with birch plywood. The Aerowing Flywood comes in an open and closed version (seat and back), aswell as in a high and low version.